How to WAKE UP a sleepy piano student! I’m super excited to share this guest post with you by Nicola Cantan. Nicola runs a thriving piano studio in Dublin, Ireland and blogs at Colourful Keys. Nicola’s blog is all about effective practice, teaching ideas and motivating students and it’s great that she’s taken the time to write this article about firing-up those sleepy, over-scheduled piano students who arrive at lessons wanting nothing more than to have a nap. We’ve all experienced those days when even our best students just aren’t themselves and need something fresh and exciting to do. As Nicola says, on these days you need to “Put aside the books and…get creative!”. It could be that she’s over-scheduled with extracurricular activities, has exams in school, or is just generally stressed. So what do you do with this student? Do you go through the motions, checking her currently assigned pieces, scales, technical work, etc., not really making that much headway since her mind is elsewhere? Or do you take this opportunity to surprise and amaze, like the true piano teaching magician you are?! Put aside those books, and ignore the notebook. It’s time to get creative, and here are some ideas to get you started. Ask your student for the names of a few songs that are her favourites right now. It really doesn’t matter what they are, and it doesn’t matter if you have never heard them. Look up the songs on Spotify or Youtube and listen to them together. Pick whichever one you think would translate best to piano, one with a simple melody, less computerized sounds, or best of all a piano part. You don’t need to use the whole song for this either, so if you reckon the chorus or the verse would be easier to work out, just focus on that. Keep the chosen song open and start to work together to figure it out. You can do this simply by trial and error, and again you don’t need to have the answers. Treat it as an exploration; you’re both in it together. Depending on the level of the student, you can write down your findings any way that suits: use letter names, notate on the staff, whatever is easiest. We don’t want theory to get in the way here. You can then take this a step further. After you’ve figured out the melody, use trial and error to fill in some chords for the left hand to play. These don’t have to be the exact ones used in the song, show your student how to play chords of each scale degree of the key signature. Then just experiment; with the student writing in the chord symbols as you find one the student is happy with. 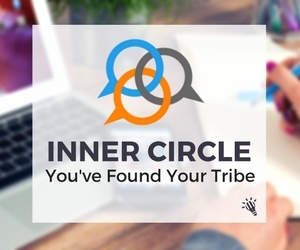 You could use this opportunity to teach the student about the circle of fifths, noting that the most likely chords to show up are the ones either side of the key of the song. If you want the check the chords used in the song, you could do a search on Hook Theory. They don’t have every song, but it is an amazing tool, and beautifully illustrates how common specific chord progressions are. Tim has blogged about Hook Theory in more detail here. This app is simply amazing. It’s great for teens as the library has lots of pop songs, and will improve sight-reading and rhythm exponentially. Thirty or even sixty minutes spent playing songs in Piano Maestro is an excellent use of lesson time in my opinion, particularly for those sleepy students! This game is so simple, but students just love it (some teens may find it too childish, but I find a lot of them don’t mind at all). To win the horse race you need to name each note displayed on the screen as quickly as possible. You can set which notes come up, to adjust to the student’s level. The app version of musictheory.net is a treasure trove of ear training and theory tests, with grown-up looking graphics and a simple interface. It’s a comprehensive app so make sure you get used to how to use it before you try it in a lesson. A basic but beautiful app for reviewing note names and musical terms. Make it more sporting by seeing how many cards the student can get through in a minute, or how long it takes to complete a deck. This is just a small selection, if you’re looking for more iPad apps to use in lessons check out Tim’s post ‘The Best iPad Apps for Piano Teachers’. Break out the circle of fifths (you have a copy handy, right?) and ask your student to pick a key, any key. 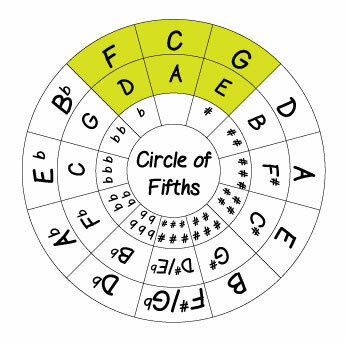 Show her the tonic major chord in this key (eg, if she picks “F”, show her the F Major triad) and those of chords either side of it on the circle of fifths (include the relative minors, there should be five chords in addition to the F). Using the left hand to play the tonic and the right hand for the chords and repeating a rhythm in each key. Splitting up the chord to make an “oom-pa” style progression. Playing the tonic note low down followed by the rest of the chord a few octaves up for something “Satie-esque” (use the pedal liberally with this one). Once the student is comfortable with a chord progression, try improvising the scale over the top. Then ask her to switch with you! You take the chord pattern and let them improvise. Make a few suggestions when you feel they’re ready, to enhance their improvisation. They could try using non-scale tones as grace notes, adding trills, going up in patterns of thirds, mixing up the rhythms and articulations…anything you can think of! Just make sure not to overload the student, one suggestion at a time is usually enough, followed by ample time to experiment with it. If you want to take this a step further you could help your student to write a composition based on the improvisation. Adapt the accompaniment pattern to a single left hand part and pick out interesting elements from their improvisation to use as a melody. Isn’t this all just a waste of time? Their performance is in a month! So what has the student learned if you spend an entire lesson on one of these activities? A great deal.. and probably more than if you had gone through pieces and scales that hadn’t been practised. Yes, sometimes you need to be the tough guy with students that aren’t progressing, or aren’t prepared for an upcoming exam or performance. But sometimes it’s totally ok to just give them a break. Teach them incognito theory or sight-reading, but most of all let them rediscover why they take piano lessons, how much they already know, and how enjoyable making music can be! If you haven’t tried this approach with students before, you’ll be amazed at how engaging it is. And far from a waste of time – the student will be learning all about chords, keys and using their ears and minds more than they’ll ever do learning a piece of sheet music note by note. Do you have a student in need of a little piano RnR? What have you tried in your studio to give these students some inspiration? I’d love to hear about it in the comments below!